A big improvement on the previous model. Impressively refined and quiet. Usable boot. Rides and handles well. More interior room. S line sports suspension best avoided if you want comfort. 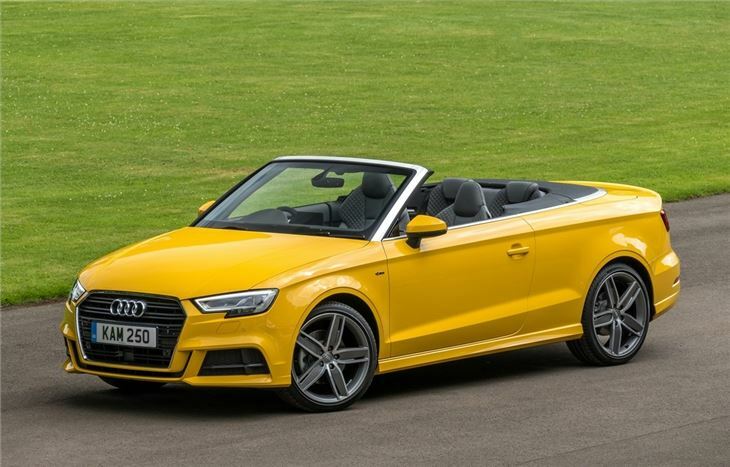 If you covet a stylish and high quality small convertible then look no further than the A3 Cabriolet. While the first generation model set a good standard, the 2014 model moves things on considerably with much improved refinement, a far better interior and impressive handling. It gets a sleeker and sharper design that makes it appear more like a mini A5 Cabriolet. Compared to its rather stumpy predecessor, it's now a handsome looking open top. A feeling of quality flows through the A3 Cabriolet from the excellent interior to the smooth and near-silent mechanism used for the folding roof. The roof itself folds in 18 seconds and on top models is upgraded to an acoustic hood that does an impressive job of cutting out noise. 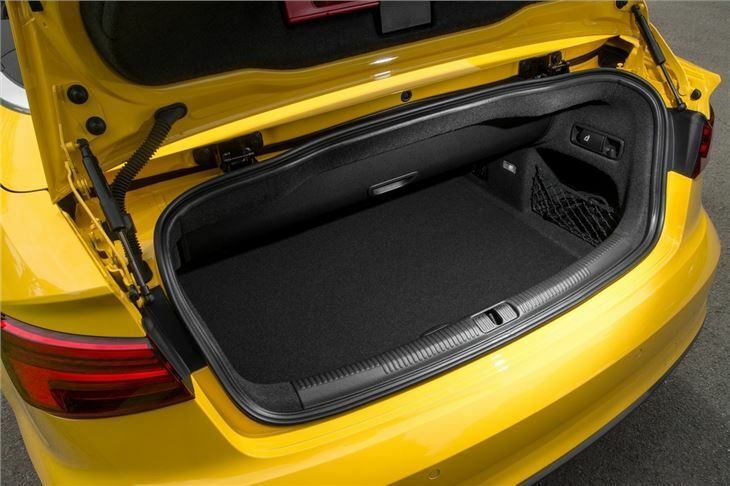 There's more boot space than before too and the luggage space is a lot easier to access. It's also decent to drive with responsive steering and little body roll. This is helped by a lightweight design and a relatively long wheelbase with short overhangs. The best part is the ride quality, which is one of the best around in a convertible. That's on the standard suspension. You can opt for sports suspension which is stiffer, lower and of course not as forgiving. The engine line up includes the excellent 1.4 TFSI turbocharged petrol. 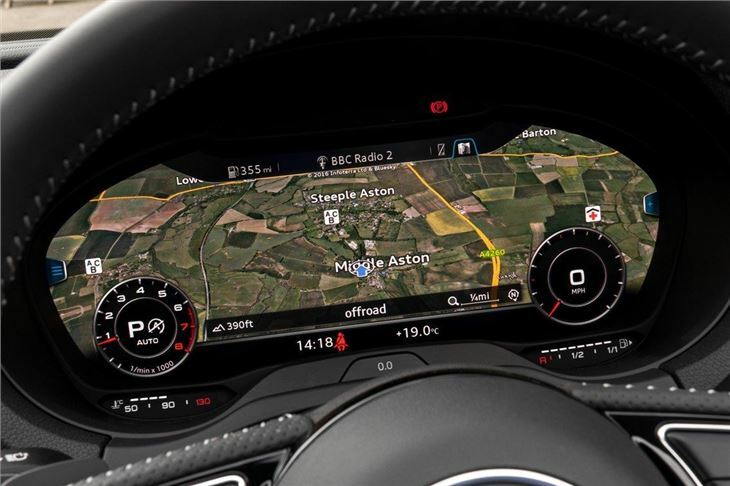 It features a clever cylinder on demand system that cuts out two of the four cylinders when they're not needed. This helps boost economy and lower emissions. And also allows the engine to pull well from low revs. In 2014, the 140PS was replaced by the upgraded 150PS version. All the engines are frugal, and the 1.6 TDI averages more than 70mpg according to the claimed figures. So expect more like 50mpg in real life. For a blend of performance and economy you could opt for the 2.0 TDI available in two versions: one with 150PS and a 184PS model. 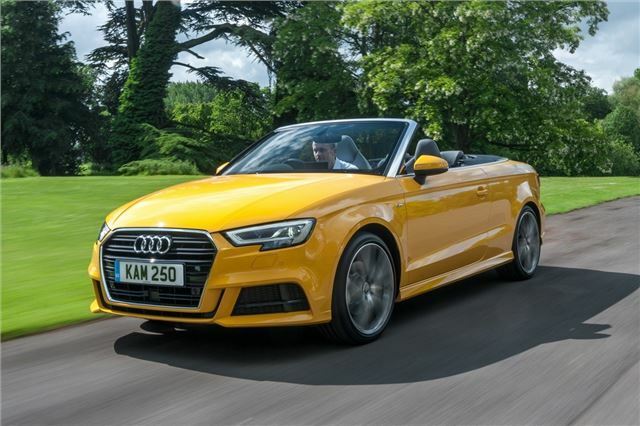 With the top down the A3 Cabriolet is a delight to drive. There's little in the way of wind buffeting, especially with the optional wind deflector fitted, so it's refined and relaxing. The rigid body means there's none of the vibration and shudder you often experience in soft tops. 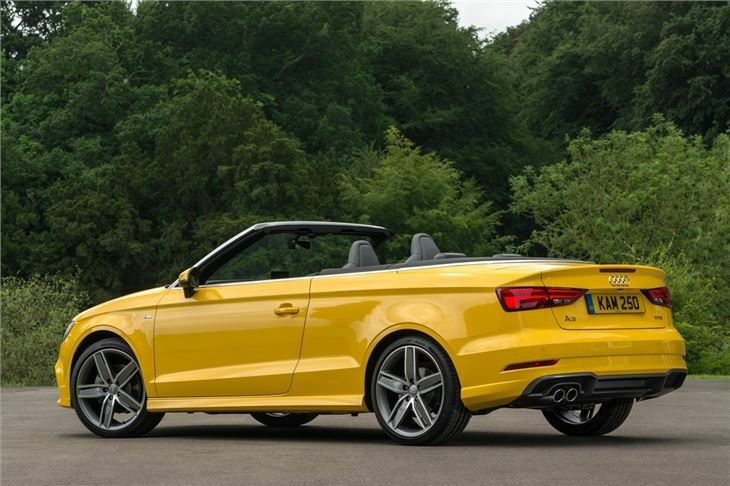 It's also more spacious and comfortable inside making this one of the best convertibles on the market. Amazing performance and excellent fuel consumption.